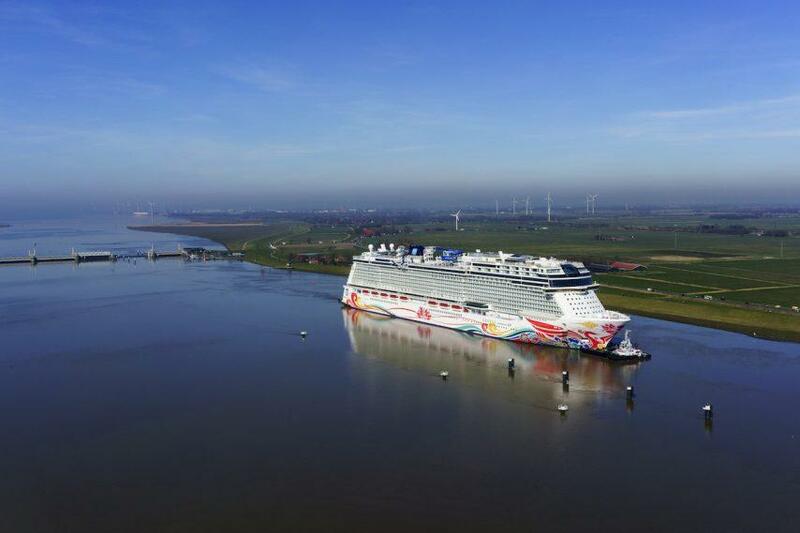 Norwegian Joy, Norwegian Cruise Line’s first custom-designed ship for the Chinese cruise market, began her journey to her homeport of Shanghai, China, this week, as she departed the MEYER WERFT shipyard in Papenburg, Germany, on Sunday, March 26, for her approximately 14-hour conveyance along the Ems River. Norwegian Joy will head toward the North Sea for sea trials later this month, is scheduled for delivery on April 27, and will set sail for China for a series of special events that will lead up to the ship’s christening ceremony on June 27. Led by her Godfather, “King of Chinese Pop,” Wang Leehom, the inaugural celebration in Shanghai will include an exclusive concert and overnight cruise for honored guests. 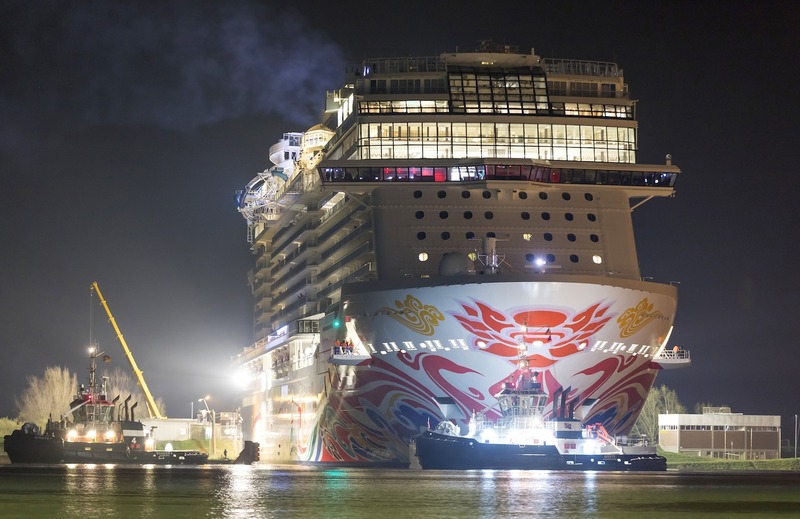 Norwegian Joy is the second in the line’s Breakaway-Plus–Class ships (also Norwegian Escape and Norwegian Bliss) and the first that was purpose-built for China. 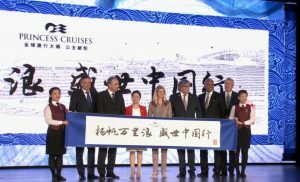 The ship, which features new experiences including the first race track at sea, will sail itineraries from Shanghai and Tianjin (Beijing). 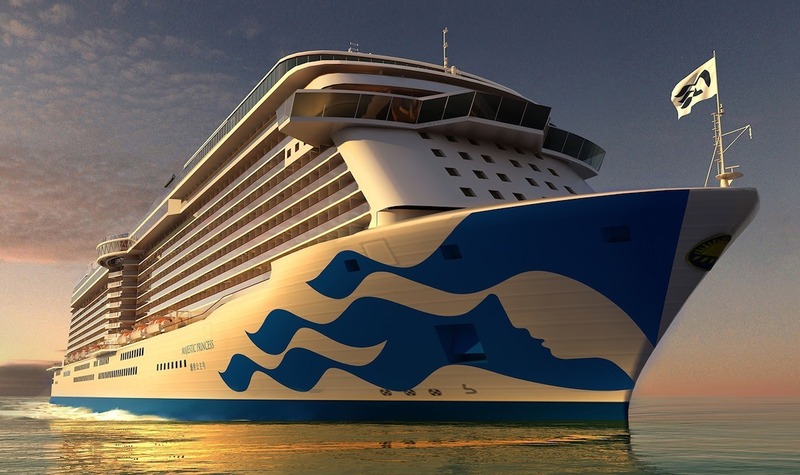 Also this week, Carnival Corporation took delivery of Princess Cruises’ Majestic Princess at an official handover ceremony at Fincantieri shipyard in Monfalcone, Italy, on March 30. 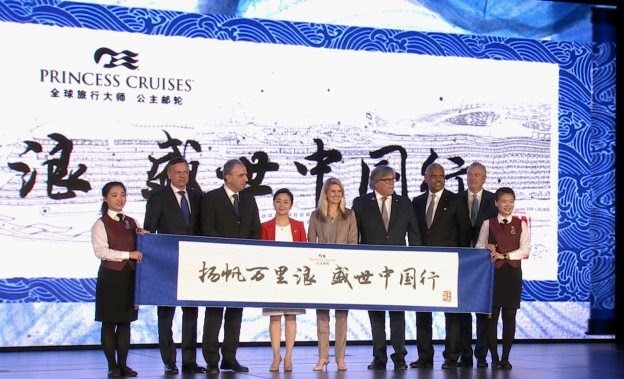 The cruise line’s first ship tailored for the China market, will include key design and features of sister ships, Royal Princess and Regal Princess. 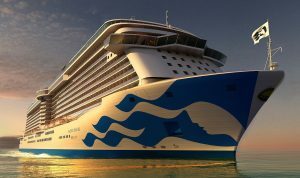 Majestic Princess will sail an inaugural season in Europe through May (on 7-, 14-, 21-, and 28-day cruises from Rome, Barcelona, and Athens) and then embark on a 49-day repositioning cruise from Rome that’s themed the Silk Road Sea Route journey, which will arrive into her new homeport of Shanghai in July, when she’ll begin sailing to a variety of destinations.